Win one of five pairs of tickets to Islington Academy’s new club night XTRAVAGANT, featuring the likes of Matt White, Semtex and Shortee Blitz. XTRAVAGANT is a dope new club night held at London’s Islington Academy. It’s every week on a Saturday with a strong rotation of DJ’s including Matt White, Shortee Blitz, Firin Squad and more. The night starts at 10:30pm and runs until 4am. It’s 8 quid before 11pm and 10 after. Dress code: No trainers/sportswear. Carling Academy Islington is situated in the N1 centre, 16 Parkfield St, London N1 OPS. To celebrate the night’s launch, the academy have kindly given us five pairs of guest list tickets to give away for Saturday the 6th of August. 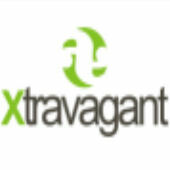 All you have to do to win, is e-mail in your name, address and telephone number with ‘Xtravagant’ in the subject field. We’ll choose five lucky winners at random and get in touch with them. The competition’s open to anyone over the age of 21 and you’ll need photo ID on the night. We’ll make the draw for winners on the 1st of August.